Who doesn’t love Mexican food? And by Mexican food, I don’t mean Taco Bell. No, I don’t mean that joint down the street that you frequent every week for ‘Taco Tuesday.’ (Not that I don’t also attend Taco Tuesday and enjoy a margarita or two, but that isn’t what this post is about). 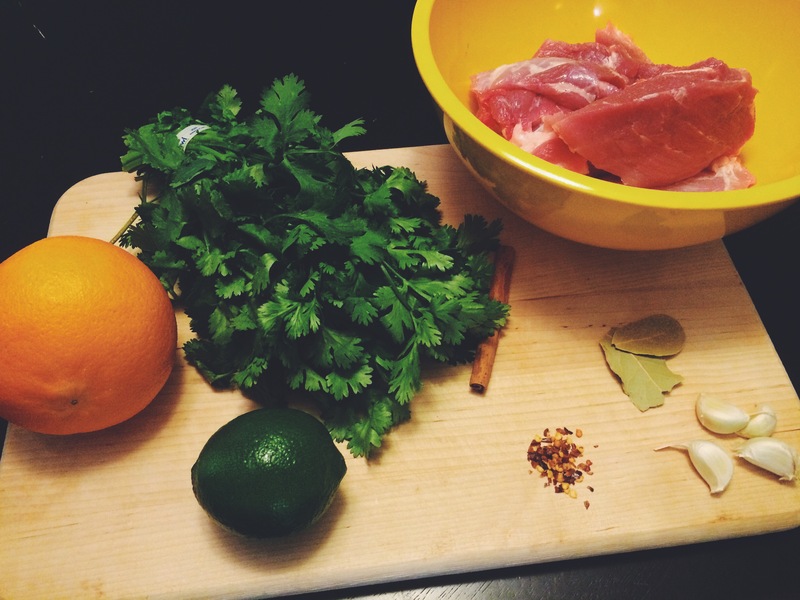 This gave me the brilliant, and I mean brilliant, idea of making my own traditional style tacos. 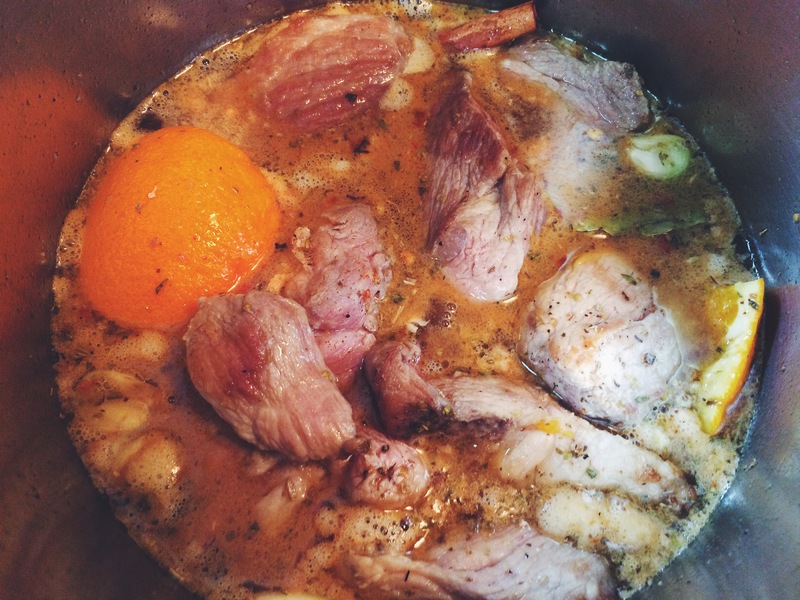 Carnitas to be exact. 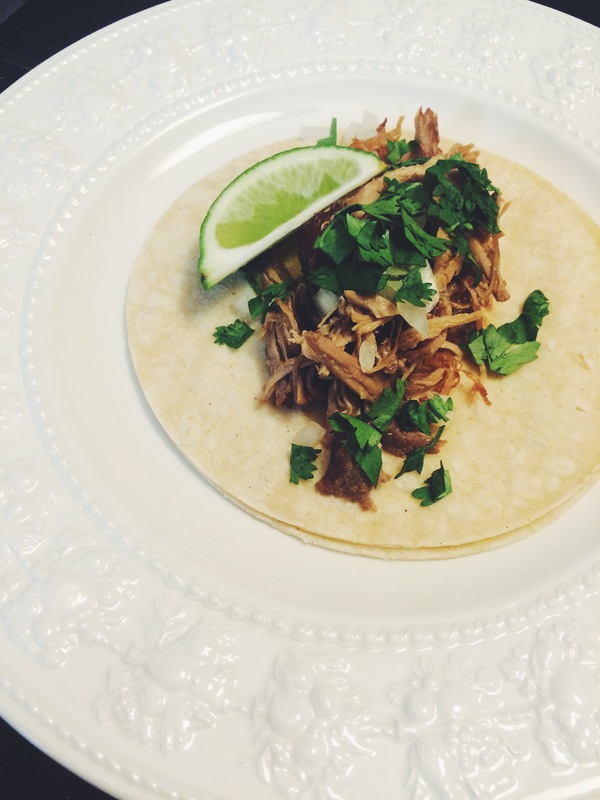 For those of you who don’t know, carnitas = pork. I had never attempted these before because it’s so convenient to go down to the local joint and order up three of those babies. I was up to the challenge, though. I ran (drove) to the store and picked up the necessary items so that I could have my own Mexican Fiesta. THE INGREDIENTS. Beautifully enough, most of the ingredients I had sitting in the pantry/fridge so I didn’t have to spend too much time or money at the store. Hopefully, you don’t, either. Season up your pork shoulder chunks pretty heavily and brown them up in a large oven-proof pot over medium-high heat. Do this in batches so the meat gets a good sear on it. We are building flavors here, people! Deglaze the pan with the orange juice. Dissolve all of those tasty bits stuck to the bottom of the pan. 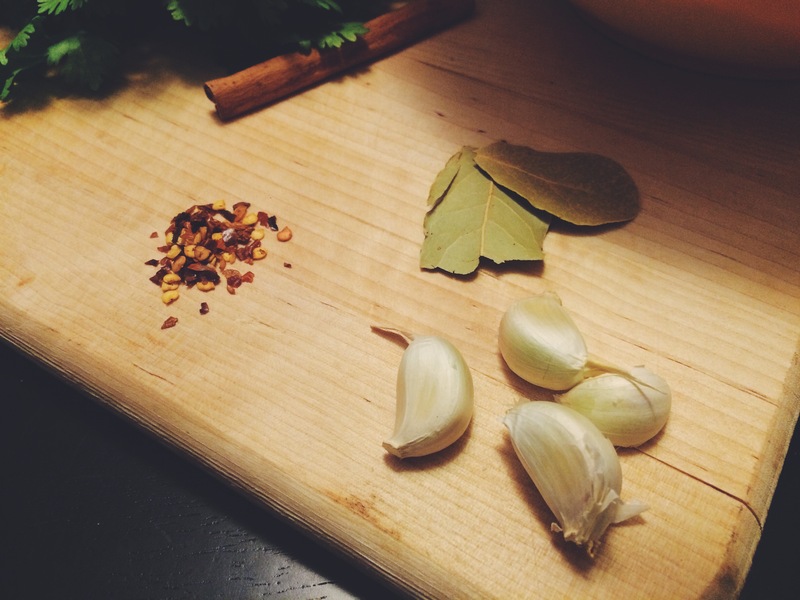 These will intensify the flavor of your braise. Cover and put in the oven. 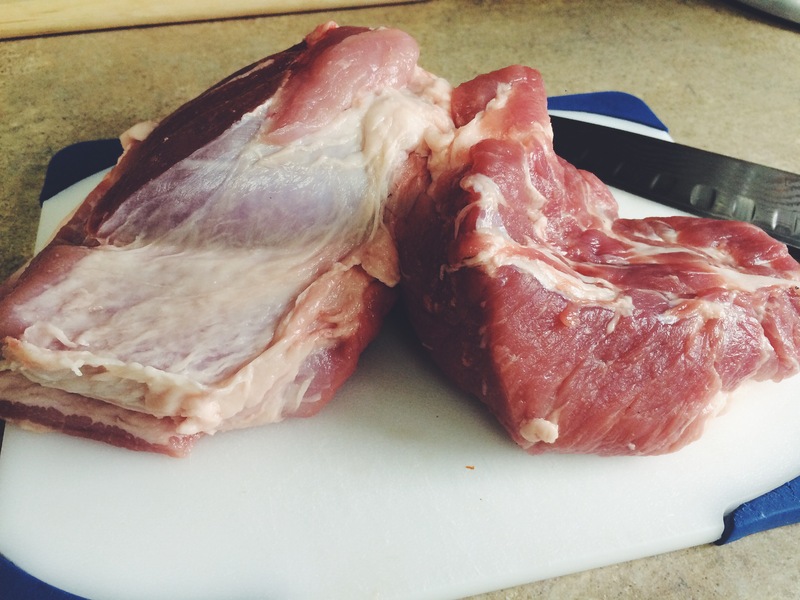 Cook for 1.5 to 2 hours (or until the pork is so tender is falls apart when you try to pick it up). Strain the sauce into another pan to keep. Shred the meat up and place it back into the sauce. Allow this is mellow over low heat. ENJOY IT. 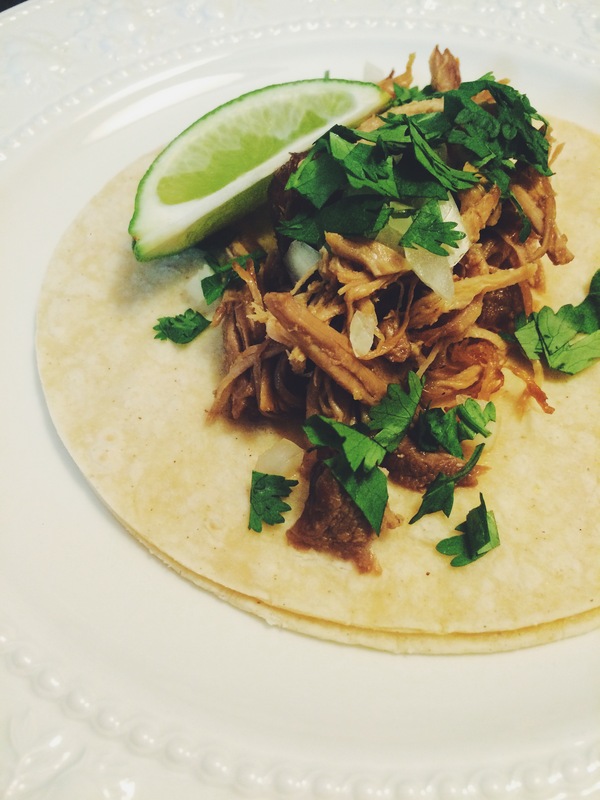 It simply doesn’t get better than braised pork on a corn tortilla. It just doesn’t. It’s succulent, but the acidity of the lime and the bite of the onion cut through the fattiness and it is just divine. So simple. But you all should know how I feel about simple food. It is the Bomb. Dot. Com.